ABC has become known for its comedies over the last 10 years or so, but now with many of the sitcoms getting older the network has been looking for that next crop of shows to take over. Last season they had ‘Splitting Up Together’ starring Oliver Hudson and Jenna Fischer which was very successful and well received. This season they may just have an even better one in ‘Single Parents’. The series was created and produced by JJ Philbin and Elizabeth Meriwether, creators of the FOX series ‘New Girl.’ It stars Taran Killam (Saturday Night Live) as Will Cooper, a single dad to his daughter Sophie. Will, in attempting to provide the best possible life for his child, has gone deep into what the other parents call “The Vortex.” This is when a parent is so committed to their children that they forget about the other parts of their lives that don’t involve the kids. Will meets a diverse group of single parents whose kids all share a class with Will’s daughter. They recognize the things Will is doing wrong and they take him under their wing. But while the other parents think they have it all together, they need help from each other a lot too. This group of parents is led by Angie D’Amato, played by Leighton Meester (Gossip Girl). Her son Graham wants to bring an item of his mother’s clothes to school on his first day so her scent can comfort him. Joining Angie is bookstore owner Poppy Banks (Kimrie Lewis) and her blazer wearing son Rory. 20 something hipster Miggy Park (Jake Choi), a first-time dad with a newborn. Rounding out the group of parents is Douglas Fogerty played by Brad Garrett (Everybody Loves Raymond). of laughs and fine comedic performances highlighted by the work of Leighton Meester and Brad Garrett. The young child actors in this series are really great too. They deliver their lines like seasoned comedy pros. 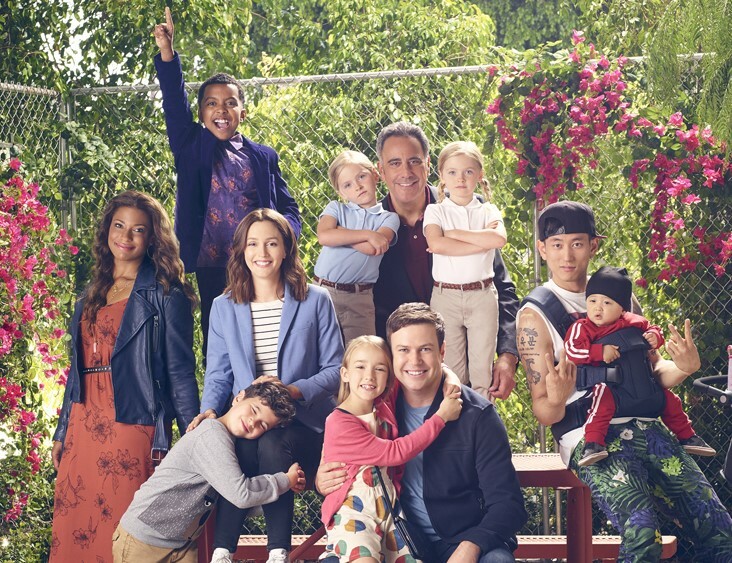 While it might be a little too early to tell if ABC has another long lasting sitcom on their hands, ‘Single Parents’ has been good and should get better and it has been picked up for a full season, so that’s a good sign. It’s a fun show that has a lot of heart and a good cast that already feels like they’ve been together for years, working like a well-oiled machine. All of these reasons make ‘Single Parents’ worth checking out. ‘Single Parents’ airs Wednesday nights at 9:30 on ABC.